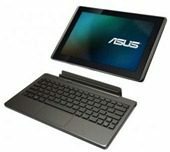 ASUS says they are still on track to push out an update that will transform the original ASUS Transformer into an Android 4.0 (Ice Cream Sandwich) device. The company said on its Facebook page today that they are still planning on a TF101 ICS update by the end of this month. This even though there is less than a week left in February. So far, the announcement on Facebook has gathered 45 likes. But in the comments section, there is some grumbling. “Lies lies lies.u been saying the same thing all month.from begin Feb to middle to still in Feb.if its not out by end Feb ur gona get so much greaf for ur bull ull be quuiting your job n taking early retirement.I hope for everyones sake it gets out before march.good luck,” wrote Nathan Peake. “‎((Our engineers are working hard on getting this ready for you as soon as possible))….hmm , but you said before that … it was ready a while ago and we were only waiting for Google to approve it!!!!! !” said Raid T. Joseph. But not all of the commenters are unhappy, with some saying they would rather have a delay than a rushed, buggy, OS. Reports are coming in today that over-the-air ASUS Android 4 (ICE) updates for the Transformer TF101 have begun rolling out to Transformers in some locations in Asia. Mentioned so far are Taiwan and Singapore.